Airfield Marking & Airport Runway Pavement Striping | Axtell's, Inc.
Why are airfield pavement markings important? In the airfield maintenance industry, few things are of a higher importance than safe and visible markings. Runway incursions unlike many other vehicular accidents can turn catastrophic to large quantities of people and property in a very short time if proper precautions are not taken. The goal of Axtell’s, Inc.® is to provide high quality, long lasting markings at an affordable cost with the best customer service possible. Safety is one of our biggest priorities and we aim to please at all times. We pride ourselves on attention to detail when it comes to airfield striping. With almost two decades of experience and thousands of happy customers, Axtell’s, Inc.® is a premier option in the Airfield Marking industry. We service the FAA, U.S. Army, U.S. Airforce, International, Regional, Municipal, County, Local, and Private Airports. 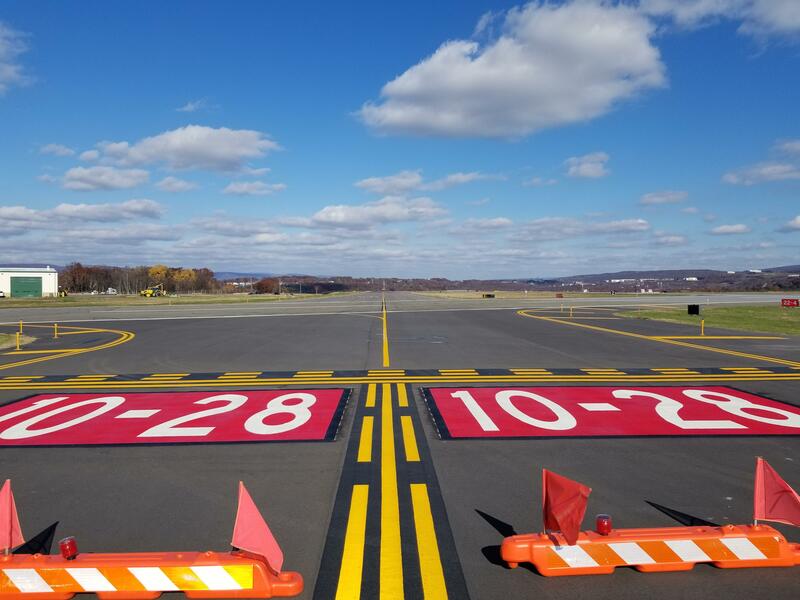 Contact us today to inquire about pavement marking options for your airfield!